We answer your top five questions about achieving the perfect pout. Lately I’ve been bombarded with questions about lips – from soothing chapped ones to plumping up the ones you’ve got. Personally, I’m wondering what to do about wrinkles and dryness. With this in mind, I consulted the pros to answer your five most common lip questions. What are some things I should know – and questions I should ask – before I visit a dermatologist for lip injections? I suggest you ask around and speak with other women who have had a lip enhancement. If their lips look natural (watch out for “duck bill syndrome,” where the top lip ends up larger than the bottom one!) and they were happy with their experience, ask them to give you a referral. 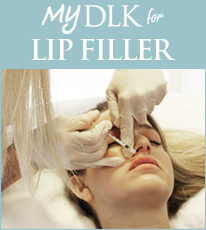 When you visit the dermatologist, it’s essential you find out how much experience they have handling lip injectibles. Some dermatologists are quick to jump on current trends without receiving the proper training – which could spell disaster – so don’t be afraid to ask. “Currently there are many different fillers available for lips, about 12 in Canada, and you should discuss the risks and benefits of each one,” says Dr. Lisa Kellett, a dermatologist at DLK on Avenue in Toronto, who has been performing lip injections for 12 years. How can I soften the wrinkles in my lips? Just like the skin on our face, our lips are vulnerable to the effects of too much sun, exposure to the elements and aging. The skin on our lips is generally thinner than the skin on the rest of our face, so it demands a slightly different type of wrinkle treatment. Slathering them with anti-wrinkle face cream won’t cut it. “Loss of moisture is one of the main causes of lip wrinkles,” says Dr. Kellett. The best prevention is to regularly use a lip balm with SPF and wax ester. Wax esters ensure that as much moisture as possible can be maintained on the lip surface, while SPF protects from sun damage. Try Aveda lip tint SPF 15, $18; or Blistex Ultra Protection SPF 30, $3. If my lips are already chapped, what is the best way to heal them? An over-the-counter cream can help mend the peeling and chapping. The ingredients in both categorizes them as barrier creams, which means they’re thicker in texture and help seal in your lips’ natural moisture. It’s much more effective than a regular lip balm. For extremely chapped lips, the best treatment is to use a topical prescription steroid ointment prescribed by your dermatologist. Try Prevex hand cream, approximately 60 g/$10 or 15 g/$5; or Cetaphil Therapeutic Barrier Cream, 85 g/$13 (found at your local pharmacy). What causes cold sores and how do I treat them? Cold sores are caused by a virus called Herpes Simplex. It is transferred through skin-to-skin contact, saliva, or even touching your face after sharing a hand towel with someone who is infected. Sores generally stick around for eight to 12 days, but even after it has healed, the herpes virus remains in the skin. Cold sores mainly occur when your immune system is weakened – for example, when you have a cold or are stressed out and fatigued. They also tend to flare up when lips are exposed to too much bright sunlight, or when there’s stress or trauma to the lips (such as undergoing an injectible, microdermabrasion or glycolic peel). The most effective treatment for a cold sore is an antiviral medication prescribed by your dermatologist or doctor. These medications can take up to five days to see an improvement, and usually require multiple applications throughout the day. There are also less-effective over-the-counter topical remedies which will ease your discomfort, but will not speed up the healing process. Look for creams containing tetracaine, lidocaine, benzyl alcohol, camphor or phenol. Using a lip balm with sunscreen daily will discourage cold sores from re-emerging. Try Blistex Daily Conditioning Treatment for Lips, $3; or Carmex Lip Balm, $3. How can I make my thin lips look fuller without getting a needle? There are a few tricks that you can do to create the illusion of lush lips. After putting on your lipstick, apply a dot of concealer to the middle of the bottom lip. Blend the edges in, then slick on a sheer or shimmery gloss, says Toronto makeup artist Andrea Claire-Walmsley. You can also use a lip pencil that matches your natural lip colour to draw a slight “m” shape above the top curve, where your lips meet in the middle. Fill in with the same liner and then top it off with a gloss. Or, you can just add a shimmery gloss to the middle of the top and bottom lip to help draw light to the centre. Both techniques reflect light, which gives the illusion of a fuller lip. Avoid darker shades such as deep reds and plums – these colours will make lips recede. Instead, try one or two tones darker than your natural lip colour. Try Hard Candy Sweet Spot lipgloss in Love Child, $11; L’Oréal Glam Shine Crystals in Ruby Strass, $11; Christian Dior Plastic Gloss in 354, $30; or Annabelle Rouge Velours in Twiggy, $7.